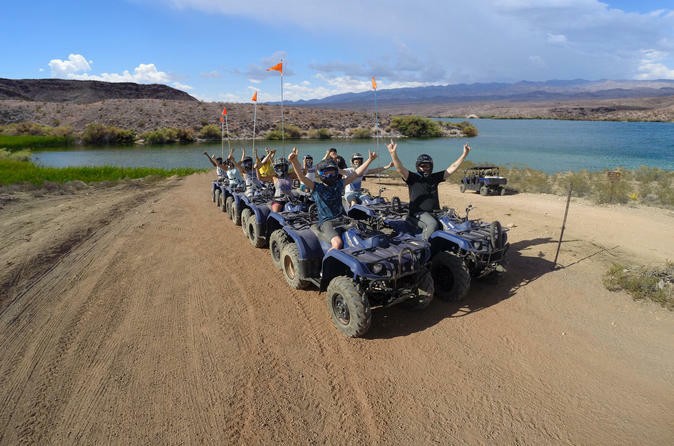 Go on an exciting adventure through Lake Mead National Park down to the Colorado River on the back of an ATV during this tour, which includes round-trip transport from select Las Vegas hotels. Cruise the Mojave Desert, and make a quick stop at the Hoover Dam to snap pictures of the famous man-made dam. Then, zoom 22 miles (35.5 kilometers) of trails in the national park before taking a break to relax and eat lunch at a local restaurant.